The ultimate matrimonial experience on water ! 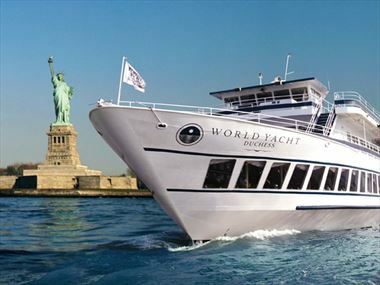 Set sail aboard a luxurious tall ship, gondola in Las Vegas or exude glamour as you take in the Manhattan skyline during a romantic dinner cruise – water-bound weddings are the height of sophistication and serve as a truly memorable feature of your day. Weddings on the water are the perfect way to make a statement on your special day, enabling you to opt for a chic alternative to mediocre nuptials. For couples who want to celebrate this magical time in style, a ceremony looking out onto the tranquil waters could be just the answer. Whether you say your vows in an intimate display or as part of a lively occasion with all of your loved ones present to help you celebrate, we can help you create the wedding of your dreams.